Chrysler’s storied 300 Series “Letter Cars” from the Fifties and Sixties were forerunners of the muscle car era. 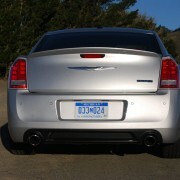 With them, Chrysler concocted the classic performance formula of cramming a huge V8 into a family sedan body, then upgrading suspension, brakes, and tires to match. 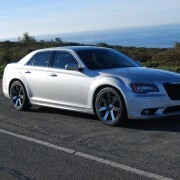 The latest 300 SRT8 is a remarkable sedan, in every way the deserving heir to Chrysler’s long and proud tradition of letter car 300s. 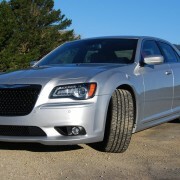 At $57,725, the SRT8 is not inexpensive, but then neither were the 300G and 300H in their day. 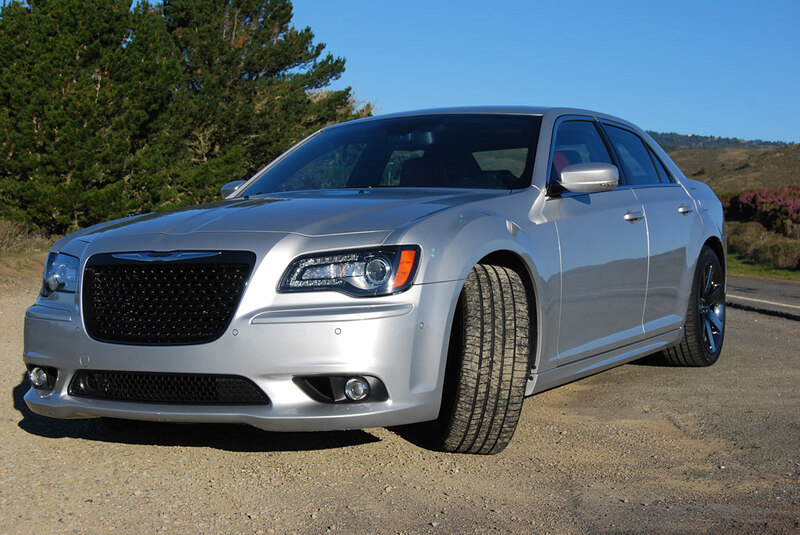 However, a sound argument can be made that even at this price, the 300 SRT8 is a stellar performance bargain, unmatched in its ability to go, corner and stop by cars costing two and three times as much. 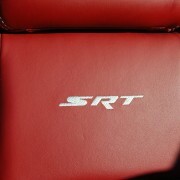 To gain a true measure of the SRT’s stature, you’d do well to think of its competition as the $150,000 Porsche Panamera Turbo, or the $225,000 Aston Martin Rapide. 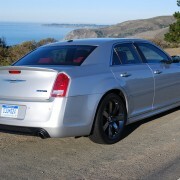 The Chrysler really is that fast and that good. It’s a point I proved to my satisfaction on a Sunday morning run from Mill Valley to Point Reyes Station. About 10 miles South of Pt. Reyes Station, I was startled to see my rear view mirror full of motorcycles jockeying for position to pass my 300. I decided to see whether the SRT8 had the mojo to stay ahead of this throbbing pack of bikes, so I floored the 470hp V8 and watched the throng of bikers get smaller in the mirror. 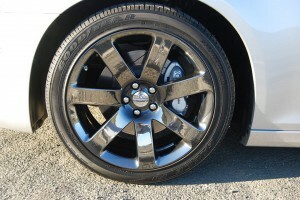 The Chrysler’s superb Brembo brakes allowed me to use the Hemi’s thrust to maximum effect on the straights, then lay hard into the binders as the 300 reached maximum velocity after each spurt. 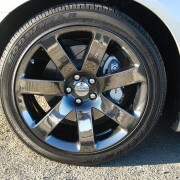 The car’s handling in the turns was also impeccable, with Goodyear F1 rubber (245/45R20) offering maximum grip. Only one Super Motard style bike was able to keep the SRT8 in sight before arrival at Pt Reyes. 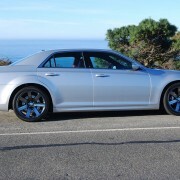 Such stout performance from a 4 door luxury sedan is simply beyond the pale of expectation, and a tribute to the continuing excellence of Chrysler engineering. 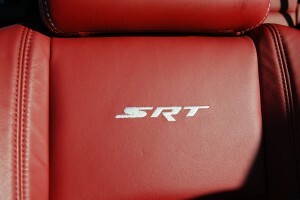 The SRT’s racing genes are particularly evident if you toggle the video control panel to the “SRT” menu listed inconspicuously under the heading “More.” Here, you will find a treasure trove of technical information available no where else in the industry. 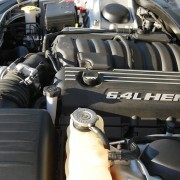 How would you like to analyze instantaneous readings for the horsepower and torque of your Hemi engine? 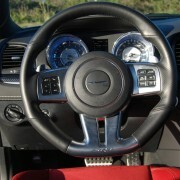 Simply select the “Engine” setting from the SRT menu, and you have the equivalent of a dynamometer on your dashboard. 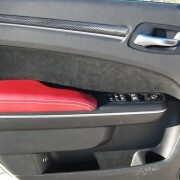 Similarly, toggle the “Steering” tab, and the screen will yield your degree of steering input left and right, plus the g Force generated by each input. 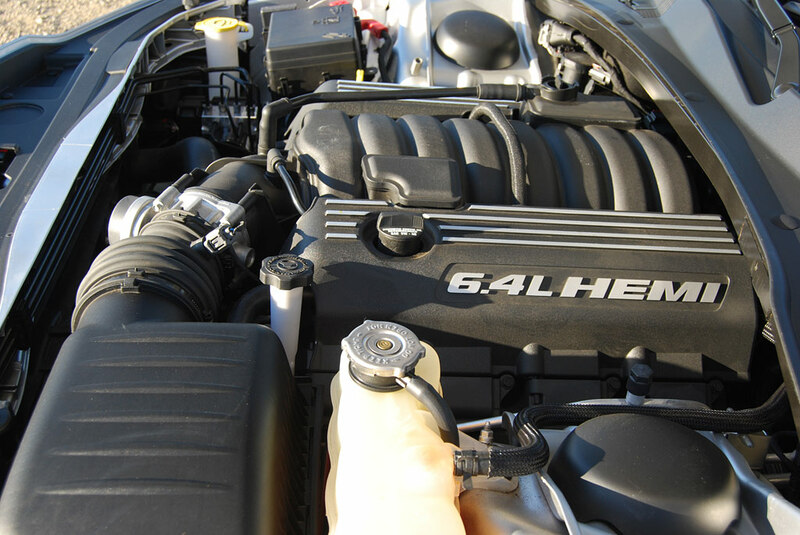 If it’s parameter monitoring you’re after, Chrysler gives you a choice of Gauge Package 1 (Oil Temp, Oil Pressure, Volts) or Gauge Pack 2 (Coolant temp, Oil Temp, Transmission Temp, Intake Air Temp, Oil Pressure, Voltage). 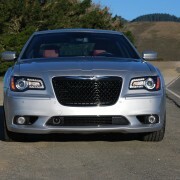 The 300 SRT8 is so fully instrumented that you’ll never have an excuse for overheating this car. You can also select the “Timers” tab which allows you to post standing start eighth and quarter mile elapsed times and speeds, plus elapsed time for the 0-60mph run. Although space precluded doing quarter mile tests, I did manage a 0-60mph time of 4.9 seconds, and an eighth mile standing start of 8.3 seconds at 85mph. 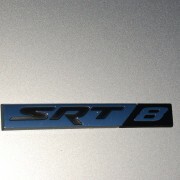 Of course, if you want to operate the SRT8 as a simple luxury sedan with no pretensions of winning the Daytona 500, you’re free to ignore the brutal horsepower, torque, brakes and cornering facility, because this 300 really makes the perfect family sedan. 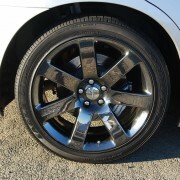 Its looks are brutish, but subtle, especially with the stealthy black chrome 9 x 20” wheels that constitute part of the optional $795 “Black Chrome Group.” The interior is artfully done, especially with the $2,500 “Leather Interior Trim Group” which adorns every touch surface with compliant red or black leather further distinguished by deviated color seam stitching. While some might consider the all-in price of this Chrysler to be exorbitant, I’m convinced it’s the performance lover’s deal of the new year.